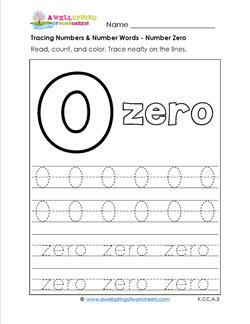 In this tracing numbers and number words worksheet students read the word "zero", color the big 0, trace the numbers and the number words. 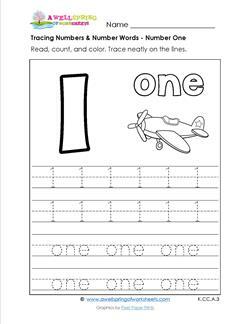 In this tracing numbers worksheet students read the word "one", color the big 1, count the airplane, trace the numbers & the number words. 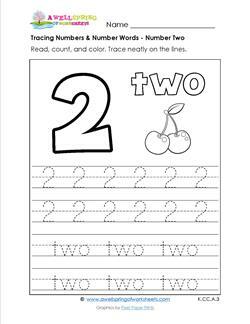 In this tracing numbers worksheet students read the word "two", color the big 2, count the cherries, trace the numbers & the number words. 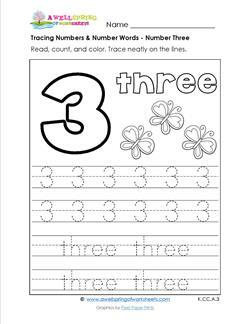 In this tracing numbers worksheet students read the word "three", color the big 3, count the butterflies, trace the numbers & the number words. 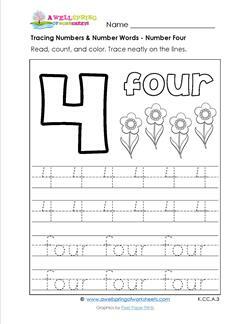 In this tracing numbers worksheet students read the word "four", color the big 4, count the flowers, trace the numbers and the number words. 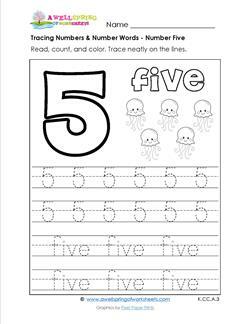 In this tracing numbers worksheet students read the word "five", color the big 5, count the jellyfish, trace the numbers and the number words. 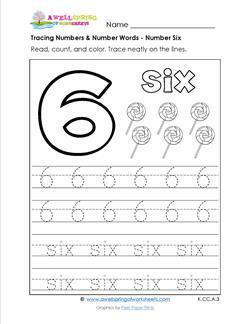 In this tracing numbers worksheet students read the word "six", color the big 6, count the lollipops, trace the numbers and the number words. 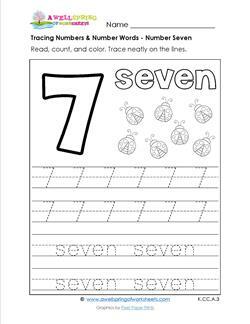 In this tracing numbers worksheet students read the word "seven", color the big 7, count the ladybugs, trace the numbers and the number words. 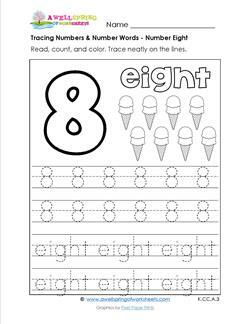 In this tracing numbers worksheet students read the word "eight", color the big 8, count the ice cream cones, trace the numbers and the number words. 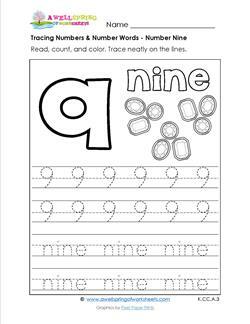 In this tracing numbers worksheet students read the word "nine", color the big 9, count the jewels, trace the numbers and the number words. 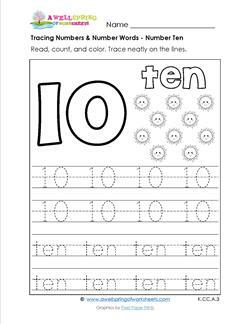 In this tracing numbers worksheet students read the word "ten", color the big 10, count the suns, trace the numbers and the number words. 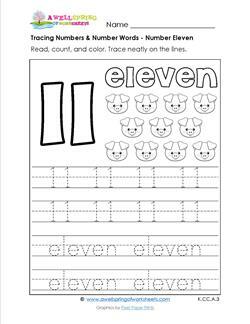 In this tracing numbers worksheet students read the word "eleven", color the big 11, count the piggies, trace the numbers and the number words. 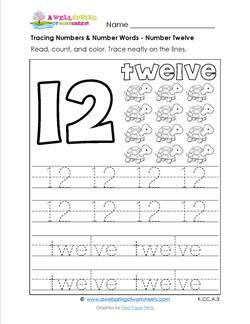 In this tracing numbers worksheet students read the word "twelve", color the big 12, count the turtles, trace the numbers and the number words. In this tracing numbers worksheet students read the word "thirteen", color the big 13, count the bunnies, trace the numbers and the number words. 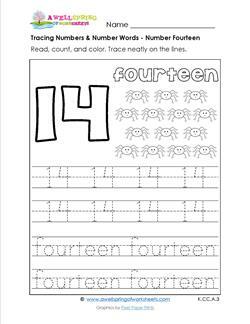 In this tracing numbers worksheet students read the word "fourteen", color the big 14, count the spiders, trace the numbers and the number words. In this tracing numbers worksheet students read the word "fifteen", color the big 15, count the octopuses, trace the numbers and the number words. 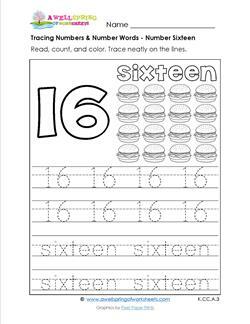 In this tracing numbers worksheet students read the word "sixteen", color the big 16, count the hamburgers, trace the numbers and the number words. In this tracing numbers worksheet students read the word "seventeen", color the big 17, count the bees, trace the numbers and the number words. In this tracing numbers worksheet students read the word "eighteen", color the big 18, count the fish, trace the numbers and the number words. 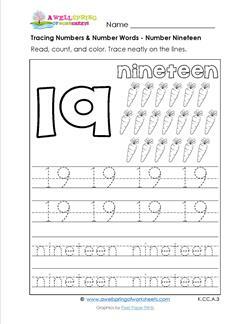 In this tracing numbers worksheet students read the word "nineteen", color the big 19, count the carrots, trace the numbers and the number words. 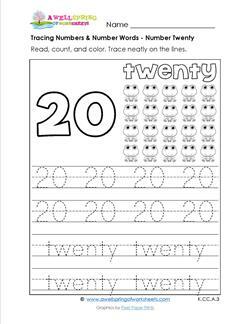 In this tracing numbers worksheet students read the word "twenty", color the big 20, count the frogs, trace the numbers and the number words.